They said Peloton must stop "trampling" their rights by using their songs for free. They noted that the company having obtained song licenses from other publishers showed it "fully understood what the copyright law required." 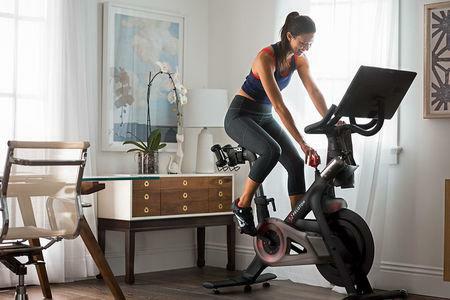 Peloton, in a statement, said it is reviewing the complaint. It also said it has "great respect for songwriters and artists," and has "invested heavily to build a best-in-breed reporting and licensing system." They said Peloton's infringements cover songs by a who's who of the music industry, such as the unauthorized use of Rihanna's "Umbrella" in at least 55 workout videos. The list of alleged infringements includes such songs as Mars' "Grenade," Perry's "Roar," Timberlake's "SexyBack" and Underwood's "Before He Cheats." It also includes older songs such as Celine Dion's version of John Lennon and Yoko Ono's "Happy Xmas (War Is Over)," Rush's "Tom Sawyer" and Bobby "Boris" Pickett's Halloween staple "Monster Mash." David Israelite, chief executive of the National Music Publishers' Association, a trade group representing the plaintiffs, in a statement said music was responsible for much of Peloton's business success. "We look forward to getting music creators what they deserve," he said.